When most people think of the New Jersey Shore, they probably think of the beaches, boardwalks, or maybe even the popular reality TV show. They probably don’t think of the 1800’s industrial age and the full scale production of bog-iron… Well at least I certainly never thought of that and what the heck is bog-iron? I was immediately set off on a full scale history research mission to learn everything I could about what I just experienced. Where Am I & What is this? 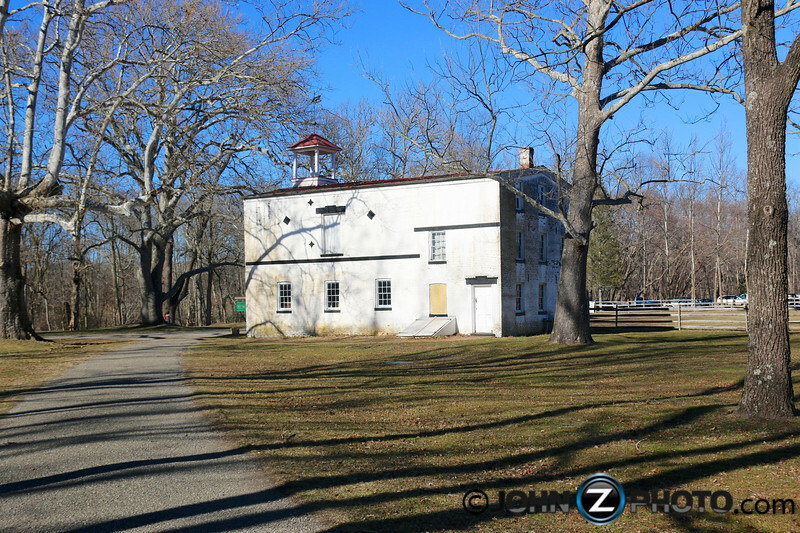 On a recent unseasonably warm February day, I decided to visit Allaire State Park in Farmingdale, New Jersey. I had seen signs for the park, but didn’t know a single thing about it. I found myself walking through a living history lesson. I was walking through what was once a completely self sustaining village devoted to producing bog-iron. Bog-iron is an impure form of iron that develops in bogs or swamps. Don’t worry, I never knew this either, but apparently, the bog-iron was harvested from the local swamps which is why this area was chosen. Once the iron was processed at the village it was then transported to New York City to be made into various iron items. This is something I like to call “tangible history” or remnants from the past that can be seen in person and physically touched. It reminded me a lot of another post I wrote about the abandoned ice harvesting village of Rockland Lake New York. 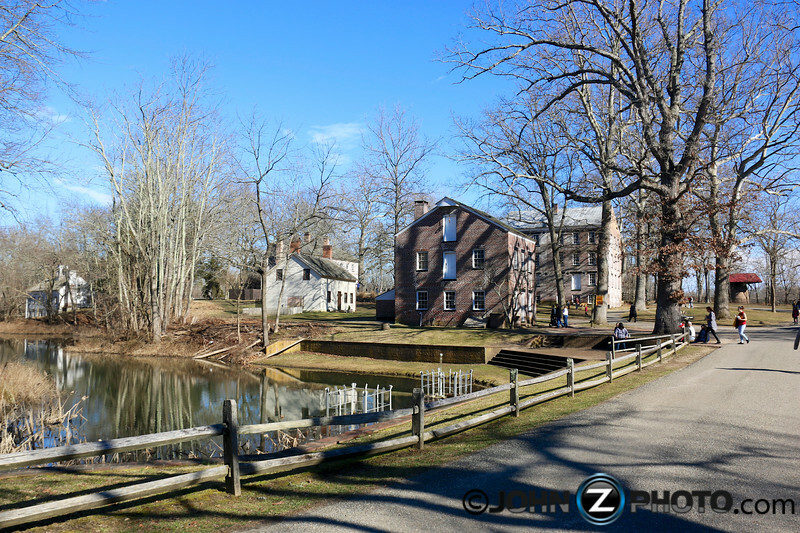 The Allaire State Park Historic Village is home to Howell Iron Works. It was once a living, breathing, community of workers that lived, worked, and socialized in the village. 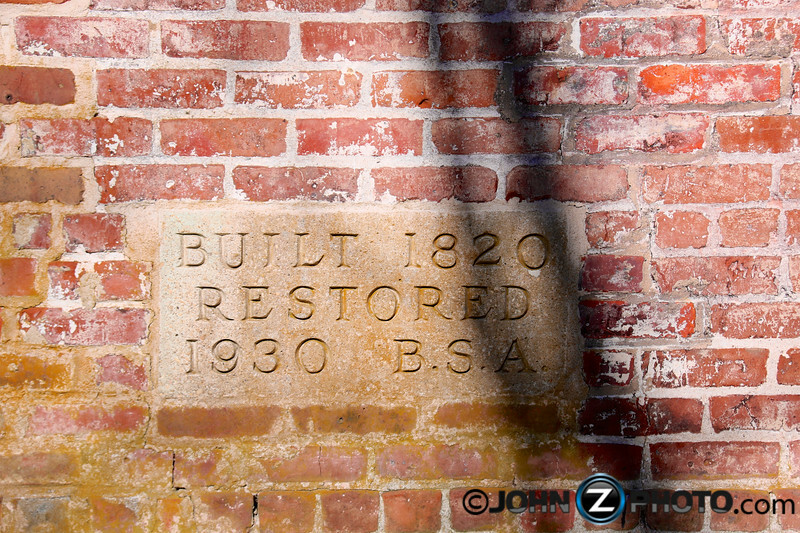 There are currently 13 buildings still standing and in various states of restoration. So let’s take a journey through the village and see what some of these buildings are and more importantly, what they were! 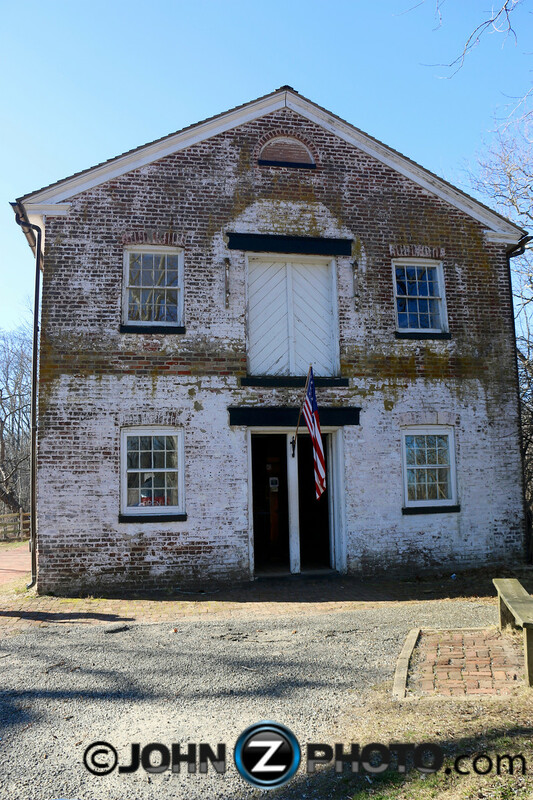 At the peak of the village’s operation in 1836, many of the workers would have lived in row houses similar to this one, which now houses a museum. 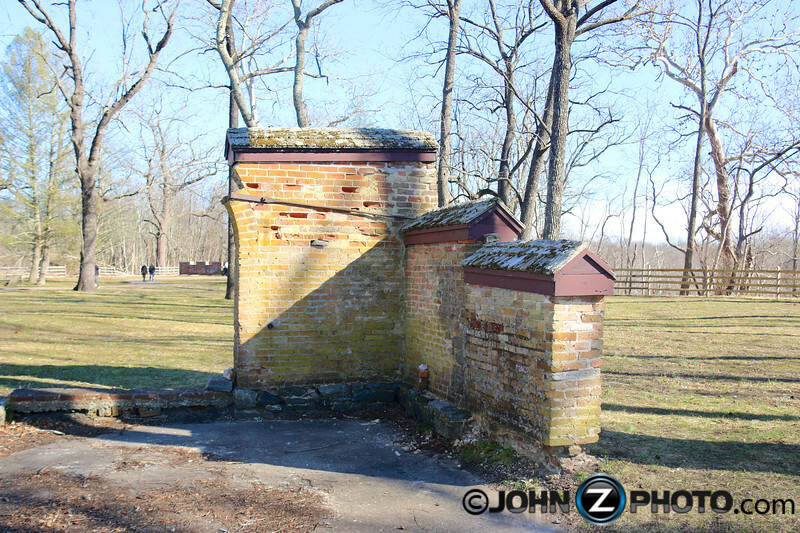 The first two sections are original, while the rest of the units have been restored by the Boy Scouts of America as noted in the cornerstone. At the entrance to the village is the foreman’s cottage. 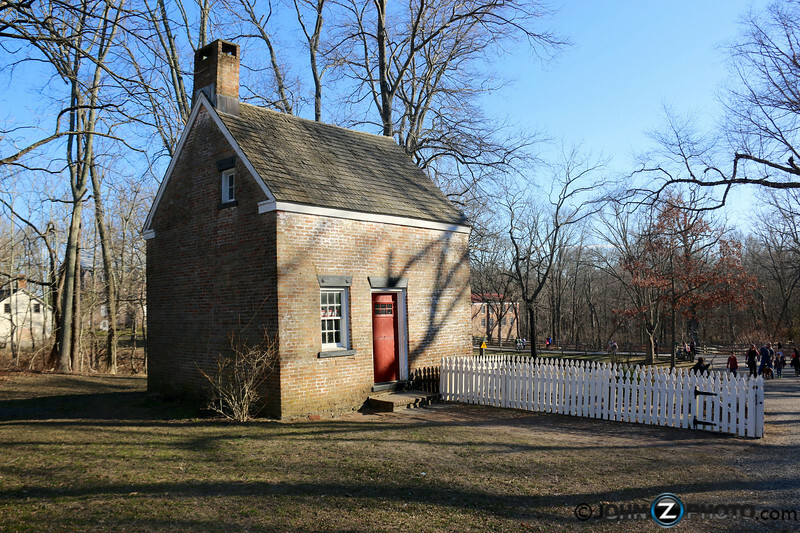 This tiny house is where the head of the job site lived with his family during iron production… Yes you read that right, a man and his family all lived here. 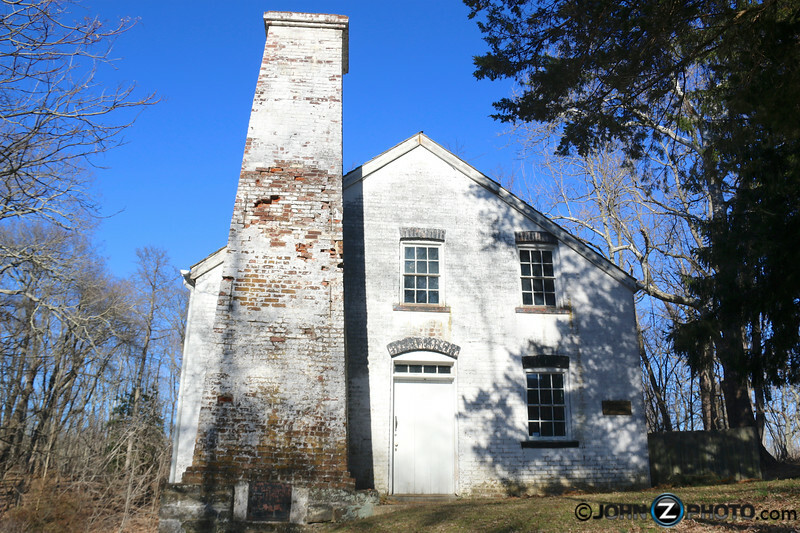 It’s the oldest structure in the village dating back to 1827. Notice the area to the right of this building…You can see that there was once an opening this size of a door that was closed with bricks. …The opening was connected to another room! I guess there was not enough room for the foreman and his family and an addition was added sometime in the late 1800’s. It was since removed. Just down the road is a large General Store. 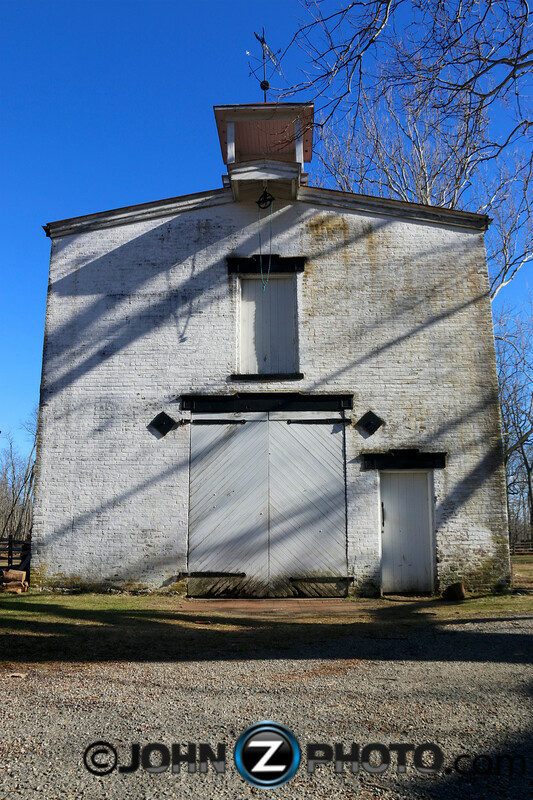 It had a freight elevator to all floors and sold goods not only to people in the village, but to people up to 40 miles around. It is currently open and sells items currently made in the village by volunteers. 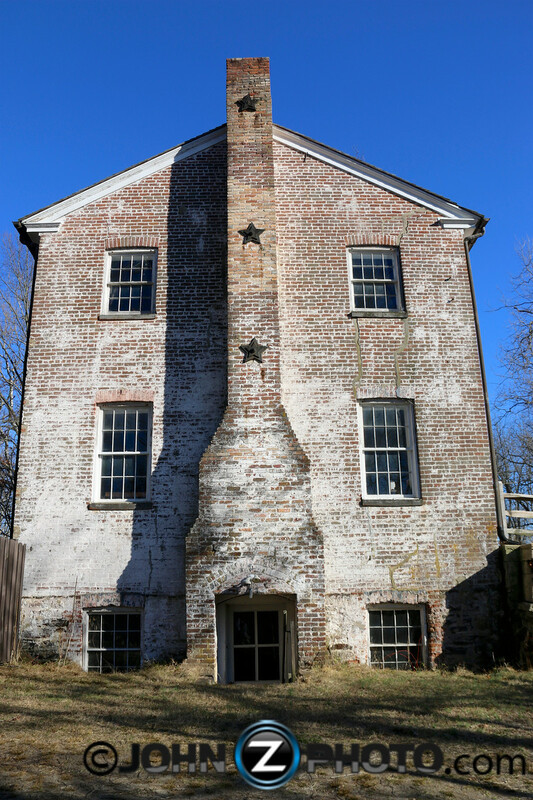 In this side view of the building, notice the different color brick towards the top. At some point in the buildings history, a roof with more of a pitch was added. The building has been restored to look almost identical as it did years ago. The below photo was taken sometime around the late 1930’s…Complete with some classic cars. 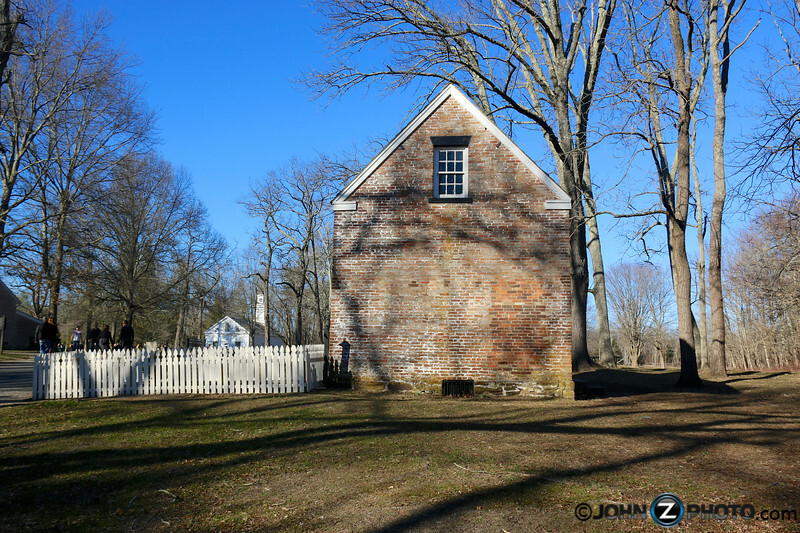 At the heart of the village still stands the whole reason for the town’s existence. 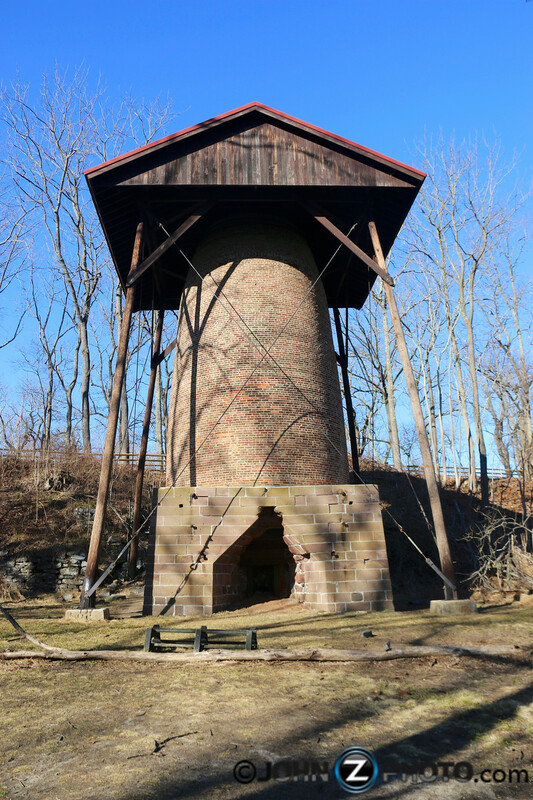 The blast furnace. 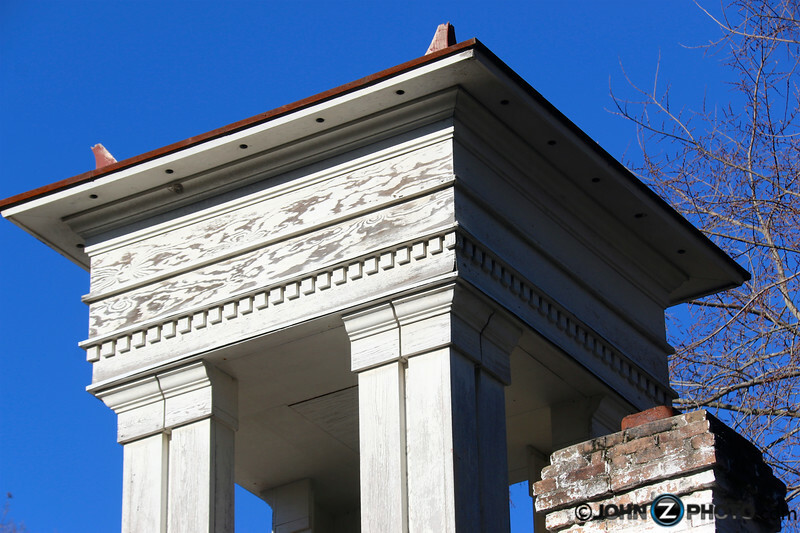 This massive structure was originally erected in 1831 and was surrounded by a building. In the upper part of this photo you can see some of the remains of one wall of the original building that surrounded the blast furnace. This photo is from the upper part of the hill was taken around 1890 and shows the remaining wall with the top blast furnace in the center of where the rest of the building once stood. This is what it looked like in this photo from 1937. It’s very difficult to convey the sheer size of this structure without being there in person. I had no idea how this thing worked, but apparently, the bog-iron ore, charcoal, and oyster shells were loaded in the top and came out as molten metal at the bottom. 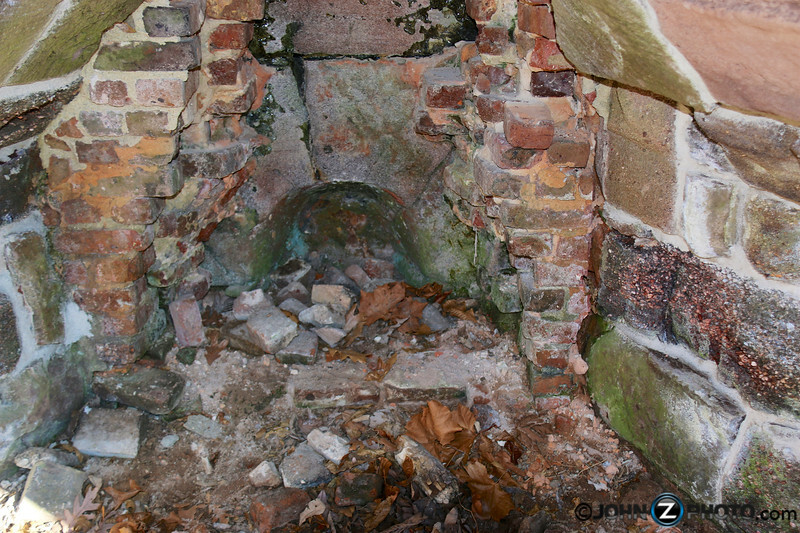 These openings inside the bottom of the furnace would have released the molten metal into channels carved into the floor. A protective roof was added in the 1960’s to protect & help preserve the structure. This building was a stable for the Howell Works work animals. 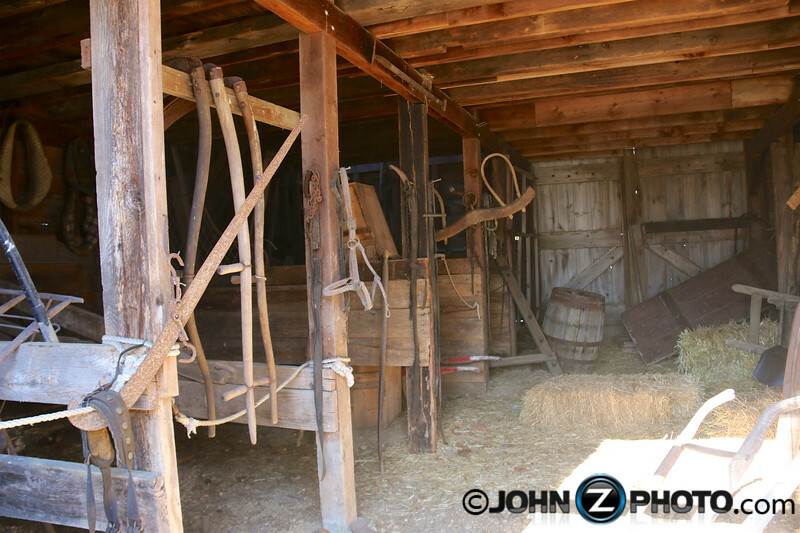 The stables had room for the work animals which included mules, oxen, and horses. The barn can be seen in the background of this photo taken around 1940. 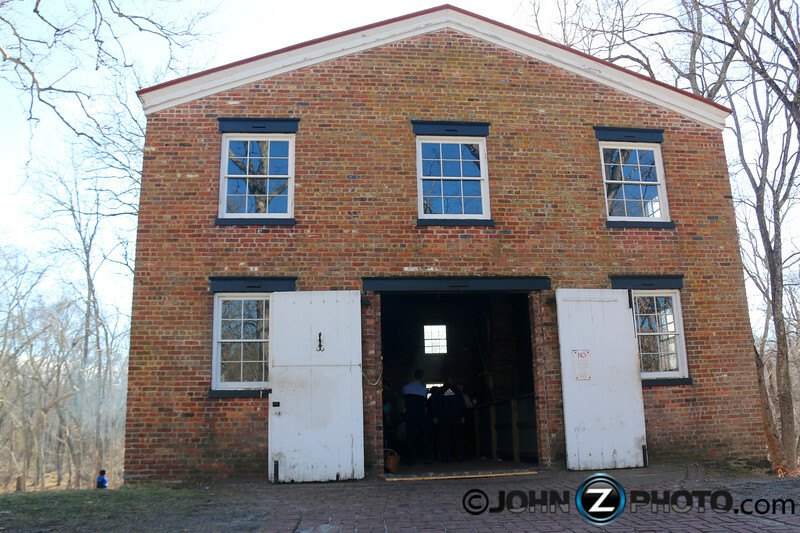 Next to the stable is the carriage house, where the horse drawn carriages, wagons, and sleds were stored. Residents used them for transportation to and from the village and transport various materials around the village. This building is also where the villiage gardener and his family lived in a rear three story apartment. The carriage house can also be seen on the right in the below photo. Notice the relation to the stables on the far left. 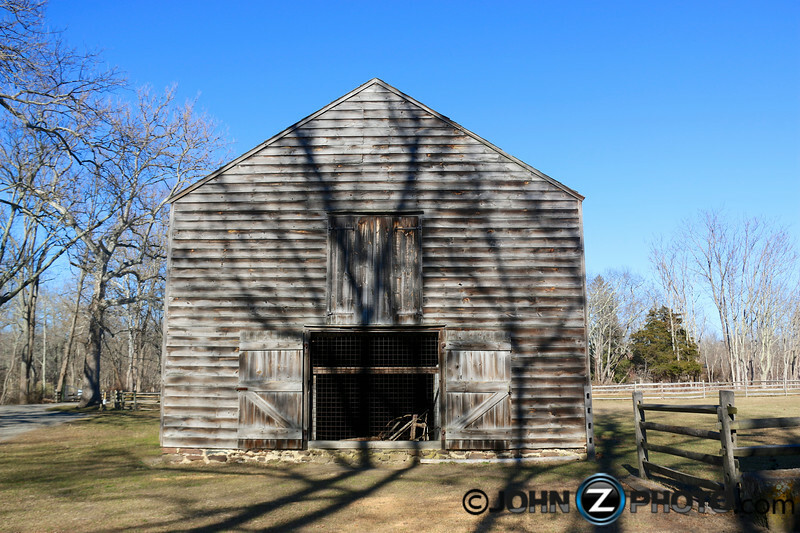 A barn was also added in the 1930’s purchased as a kit from Sears and Roebuck and erected between the carriage house and stables. The Sears barn was dismantled in the 1970’s and is no longer there. 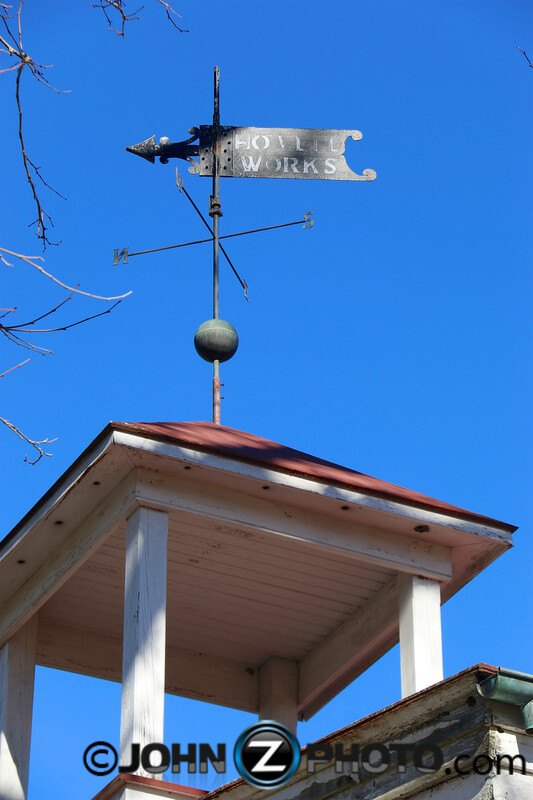 Notice the weather vein at the top of the copula is still emblazoned with the name of the company, “Howell Works.” I’m just going to assume that it’s made of iron. The state of the carriage house, stable, and barn can also be seen in this postcard from around 1957. As you can see, the deteriorating village became a bit of a tourist attraction, and that was 60 years ago! 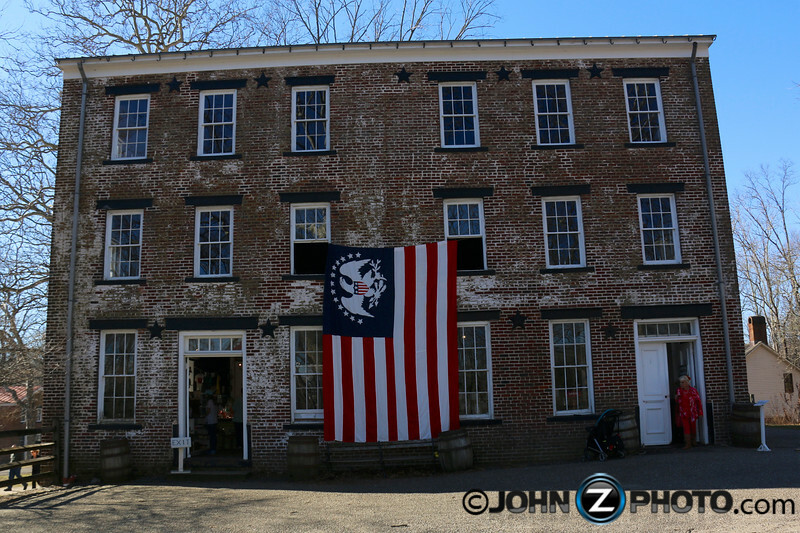 Since it was a fully functioning town, there was also a carpenter’s shop. The three carpenters were among the highest paid in the village. This is probably one of the more interesting building in the town. 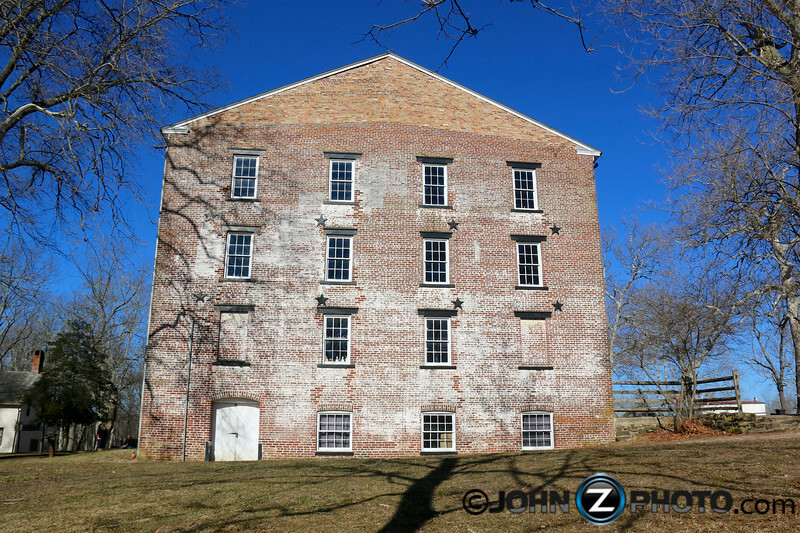 I noticed the discoloration between the white color and brick, almost like there was once another structure attached to the building and had to find out what was once there. Here is a photo of the same building from 1955. Remnants of some attached structures can still be seen which explains the discoloration in the above photo… But what was there? Long after the village was deserted, the carpenter’s shop was transformed in the Allaire Inn around 1890. It was a hotel and restaurant that became a popular tourist attraction and favorite of the local elites. They wanted to “Dine at the deserted village” as outlined in this circa 1910 brochure. After the death of Hal Allaire, the addition of a porch and kitchen were permitted. This explains the discoloration in the current photos of the building. You can clearly see the porch from this 1935 photo. There are rumors it was also a speakeasy during the prohibition years… Well now we know what was there. The enameling shop was the area in the village where a special type of paint coating was applied to the iron. Notice the intricate dental moulding at the top of the building can still be seen on the copula, which was later restored. Part of the iron production process required charcoal and since the village was completely self sustaining, they made their own charcoal by burning wood and storing the charcoal, oyster shells, and other materials in the charcoal depot. 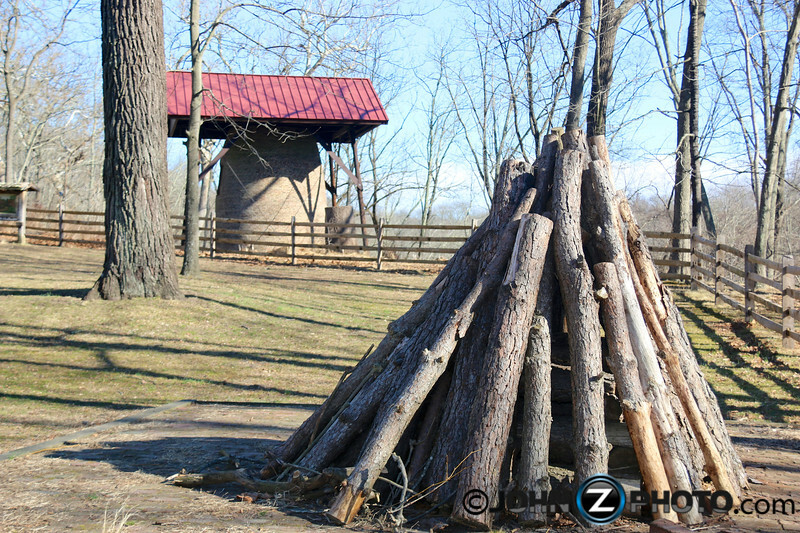 They burned wood in piles similar to the example below. Notice the top of the blast furnace in the distance. 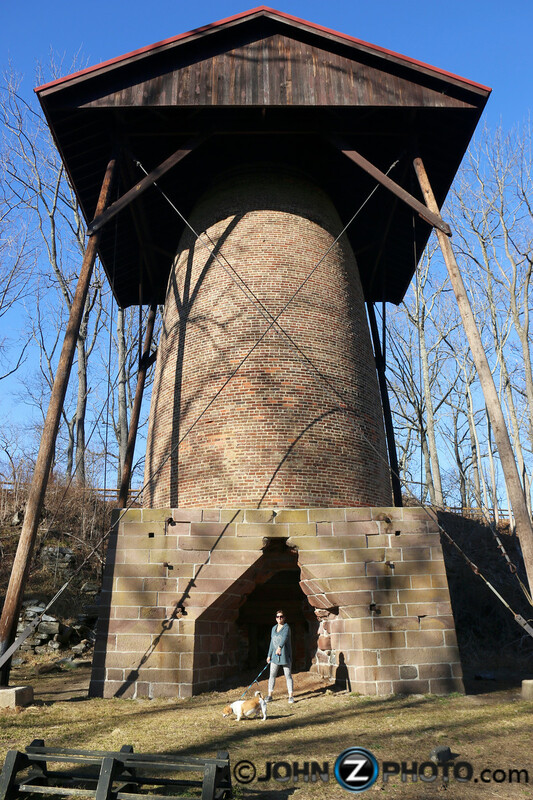 Built in 1832, the charcoal depot was once three stories tall pictured here around 1890 already deteriroating. The large open arches on the first floor were so carts could be easily loaded and unloaded. Since this was among the first of the buildings to deteriorate at the village, it was modified to only one story during the Boy Scouts of America’s use of the village as pictured below in 1934. Today this is all that remains of the once three story building… Only a few bricks and a cement slab. 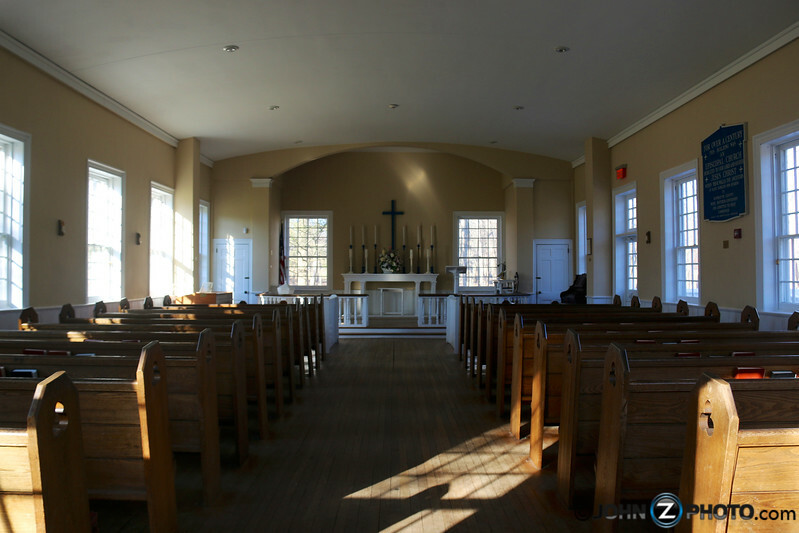 The church, built in 1832, has been preserved and restored to a fully functional church that can even be rented for private weddings and events. Notice anything odd about the church? The steeple is usually located on the front of a church. However, this church has it located on the rear of the building. In 1836 an addition was made to the rear of the church. The front portion was too weak to support the steeple, so it was placed in the rear with the newly built portion supporting it. This is how the church looked around 1935 after being restored by the Boy Scouts of America during their use of the village. It looks very similar to how it looks today except for the door and shutters. However, years later, the church began to fall into disrepair. This is how it looked in 1954 before it was restored again to it’s current state. This view of the inside of the church shows its’ beautifully restored condition. 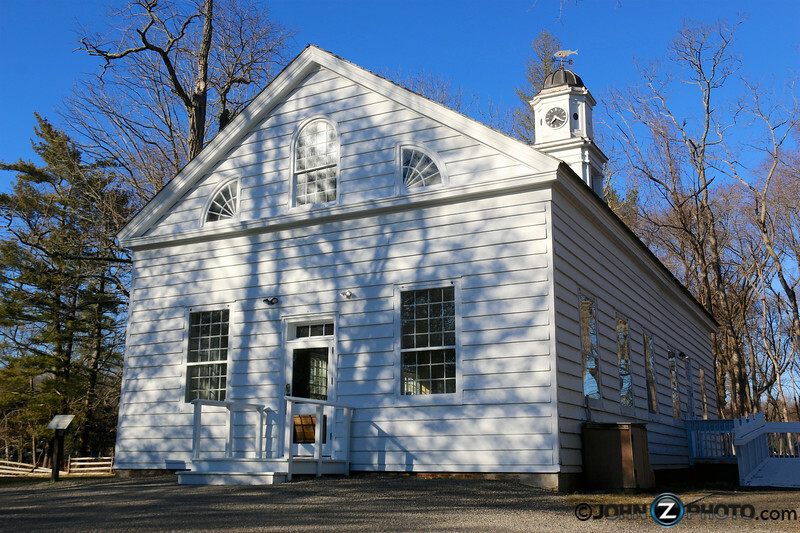 Interesting fact: During its’ use in the Howell Works era, during the weekdays, the alter was closed off by sliding doors and the church was used as a school for the village children. Some of the items that were made onsite here consisted of cauldrons, pots, kettles, bakeware, stoves, pipes, sadirons, sash weights, and window and door lintels. These items were shipped to New York City by water from Red Bank, New Jersey. The original Blacksmith’s Shop was damaged beyond repair and was completely reconstructed in the 1960’s. Here’s a view inside the shop where they demonstrate the skills of the blacksmith. Items made here are still sold in the village general store. The sign outside said “NO PHOTOS” so I abstained. However, this brave blogger snapped off a few photos, so here’s what it looks like inside. Why All of the Peeling White Paint? Notice that many of the remaining buildings all have peeling white paint on the bricks? With all of the restoration efforts, why is this? Well the giant blast furnace and blacksmith’s shop produced so much smoke and soot that all of the buildings became covered in the heavy black residue. 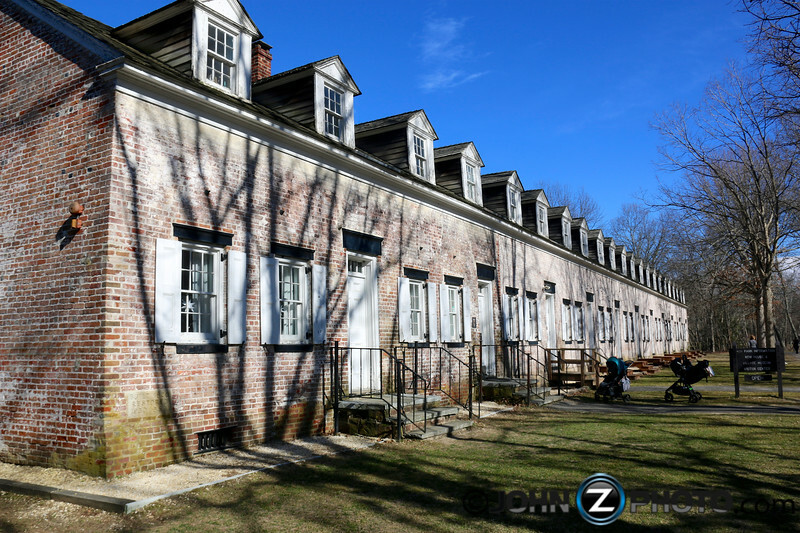 So throughout the villages existence, the buildings were “whitewashed” several times in order to brighten up the community. The amazing thing to think about is that during the village’s Howell Works era, people moved here to live and work in a community. At the hight of bog-iron production in the 1800’s as many as 300 people lived and worked here. They even had their own currency! Notice the blast furnace building in the top center of the bill…Complete with smoke billowing from the blast furnace. 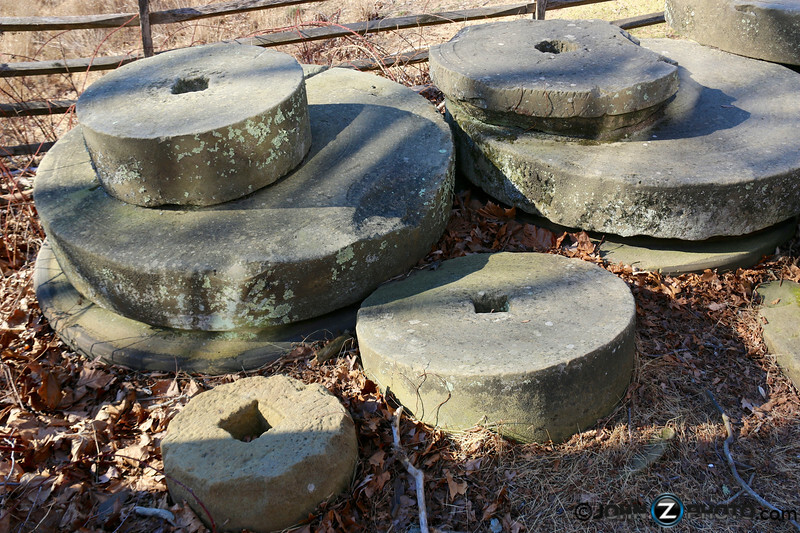 These giant cement wheels are still laying close to the area where a gristmill once existed. 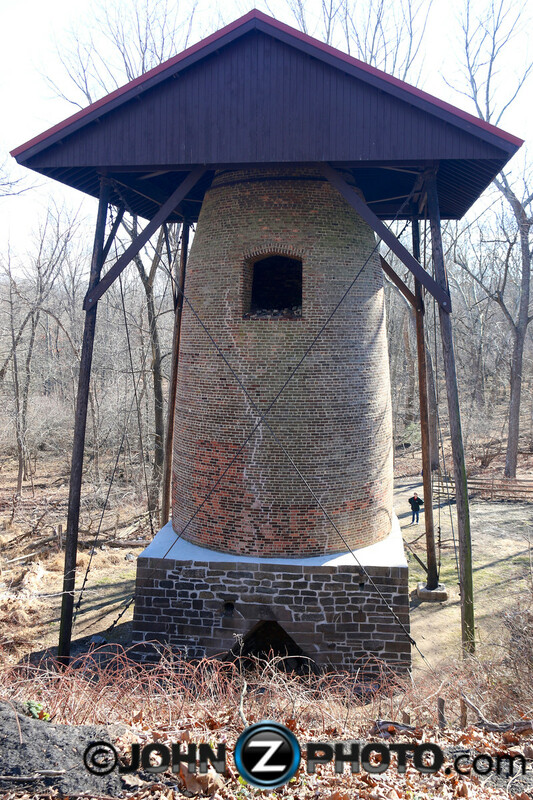 Located next to the stream, the mill used water power to move the giant wheels which ground grains into flour. Reminders of a past life in the villiage appeared everywhere. 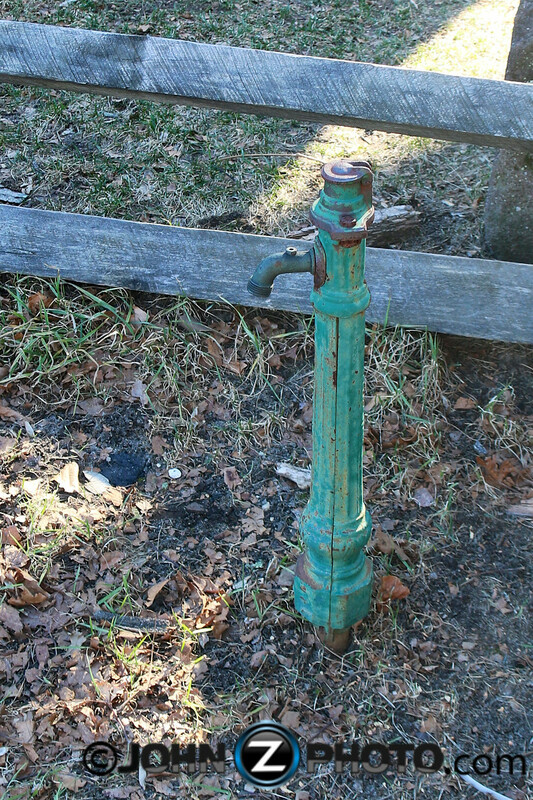 This water pump was located next to the stables and probably once filled the troughs for all of the working animals. 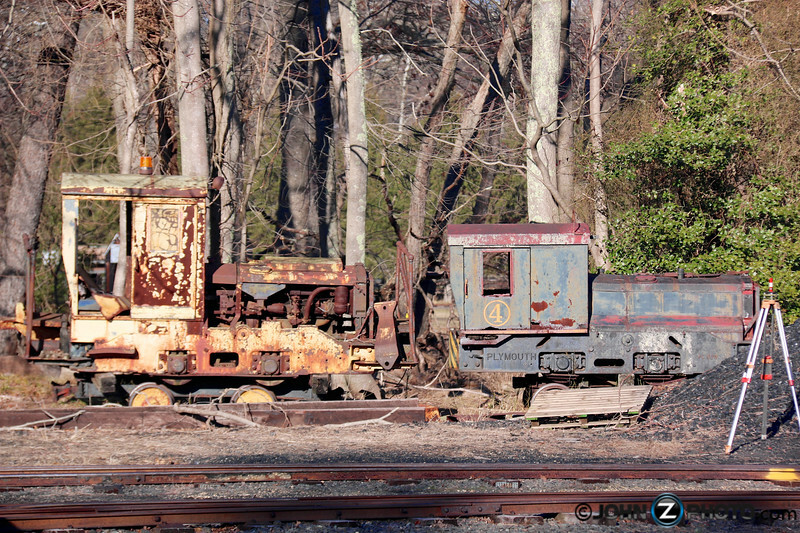 Allaire State Park is also home to the New Jersey Museum of Transportation. 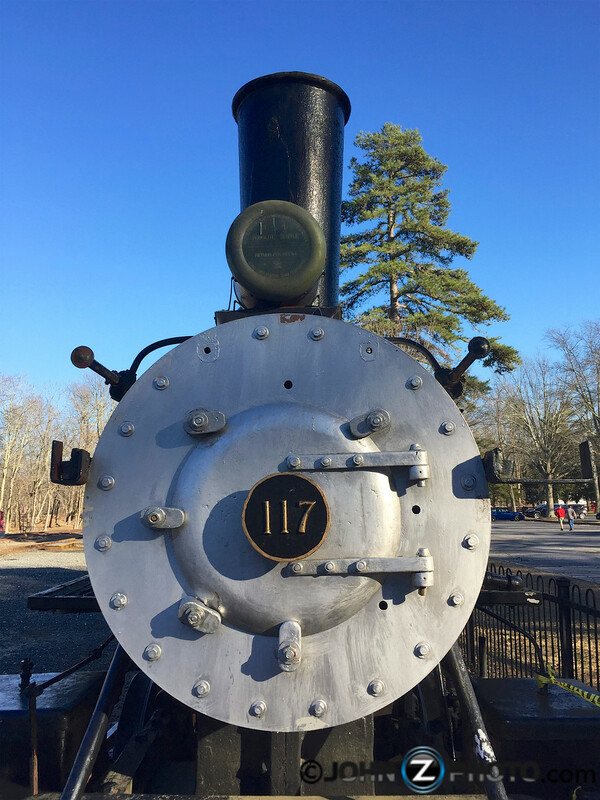 There are many historic train related relics on display. 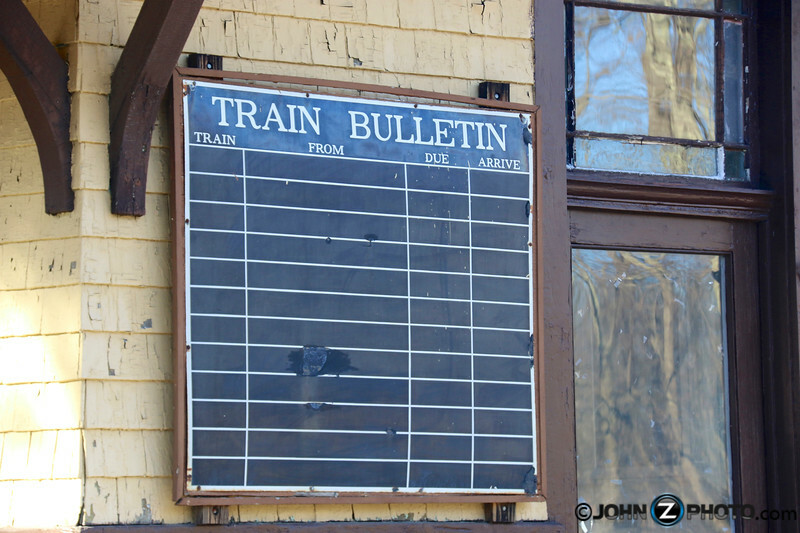 It brings you back to a time where train schedules may have been written on a chalk board. 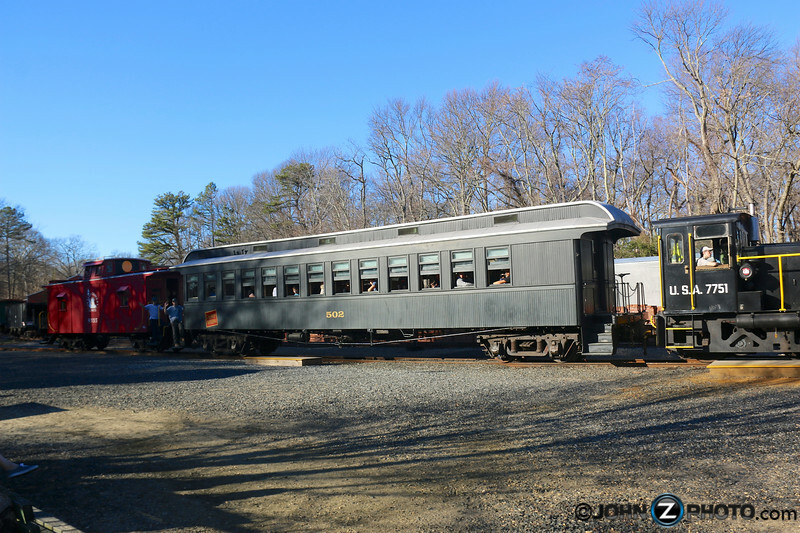 There is even a working railroad where you can purchase a ticket and take a ride… It only goes in a large loop, but at least it’s ride in a historic train. Check out this working piece of history pulling into the station in the below video. After leaving the village with my new book, I quickly read it cover to cover and took to the internet to learn even more. 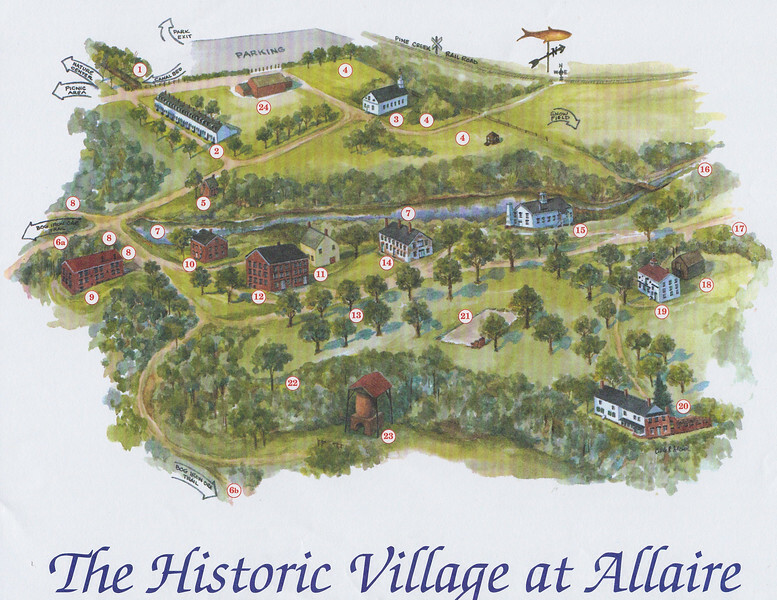 However, I was surprised to find that there were not very many photographs of the historic village available online. I even searched the library of congress online archives to see what was available. I feel that Hance Morton Sitkus did a fantastic job compiling decades family photos and information for his book and I needed a way piece together all of this information with what I had experienced that day in the village. Hence…This Post. I hope you enjoyed. Most of the black & white photos in this post appear in a fantastic book by Hance Morton Sitkus from the Images of America Series. I was so amazed by my visit that day, I purchased a signed copy at the village general store on the spot. If you’re interested in learning more about the village, I highly recommend picking up a copy. 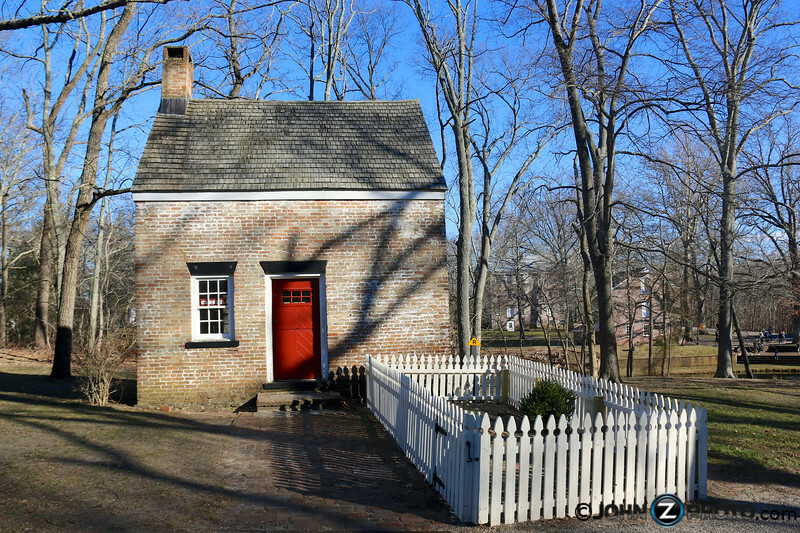 I would also encourage you to donate here to help preserve this historic New Jersey treasure tucked away at the Jersey Shore. Click here to see many of the photos I took that day at the village. This entry was posted in Abandoned, America, architecture, History, Nature, New York, Photography, Ruins, Uncategorized and tagged Abandoned, architecture, History, industry, iron, Photography, US History. Bookmark the permalink.